a perfect gray: only the best for you...a giveaway! only the best for you...a giveaway! a Perfect & Splendid Giveaway! for her creativity, originality, and for her beautiful home. 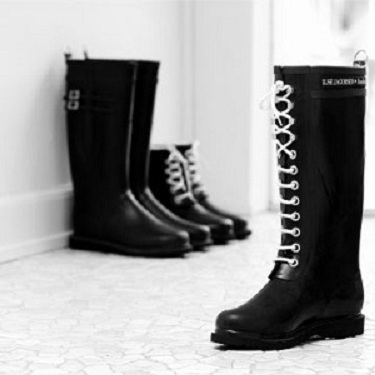 Splendid Willow Avenue, an on-line boutique, carries the high quality and fashionable rain and lifestyle gear of Danish designer Ilse Jacobsen. 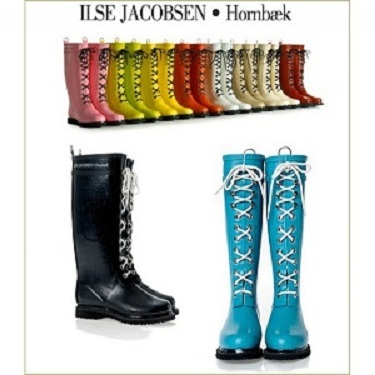 And from this fashionable line, Monika has very generously offered a pair of Ilse Jacobsen rubber boots, considered design icons in Scandinavia! These high-end boots are handmade in Europe and are just starting to get into the U.S. market in a serious way. They are stylish, warm (lined with cotton fleece) and designed for long hours of walking in rain and cold weather. The giveaway is open to U.S. and Canadian residents only. 2) Go to Splendid Willow Avenue and have fun looking at the boots (and the rest of the gear)! 3) Leave a comment to this post telling us which color you pick. (You can get all models in all colors.) Please make sure you leave your name and e-mail address, especially if your comment does not link to a blog. b) “Like” Splendid Willow's Facebook page. c) Mention it on your blog (2 additional entries). There is a maximum of five entries per person. 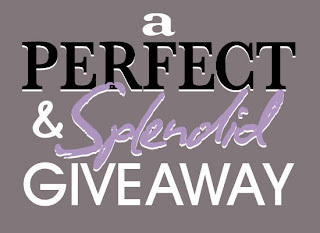 This Perfect & Splendid Giveaway ends on Monday, March 14th at midnight, Eastern Standard Time. Our winner will be chosen using Random.org and will be announced on Tuesday, March 15th. Well, looky here...we caught the lovely Paula of Two Ellie sporting her camel Ilse Jacobsen boots! What a fabulous giveaway!. I love the gray boots. Oh please me!!! I love love Monika's shop and have been eyeing these boots forever. I'd pick the black or cream please. FABULOUS! I would prob pick black or grey! Thanks for the opportunity to win! Oh, the tall turquoise ones, definitely! I need a shot of color in this wet cold late winter weather. Love these boots! I have wanted some since I saw them on Paula's blog, so sign me up! I would choose the yellow or the camel colored ones! I love the bright colors but would probably pick black or gray. I have been oohing and aahing over these boots at Splendid Willow all winter long. Since I live where there is lots of snow in South Dakota, I am longing for the colors of springtime! I would love to have fun with these boots and choose them in yellow! They would make me smile for sure! Love being introduced to your blog this morning via Monika of Splendid Willow! Wonderful giveaway! I love the camel tall boots, so stylish. Love these boots!! I wish I had these today in Boston! I would definately have to go with the black!! Oh, I hope I win!!! I love the black tall boots... but am probably one of the only ones that prefers the pair without the laces. Ha! I like the tall camel - love the black laces. I'm a follower of course!! Monika's boots are awesome! I love the black mid boots or the cream mid boots! I "liked" Monika's facebook page. And I've tweeted about your lovely giveaway! 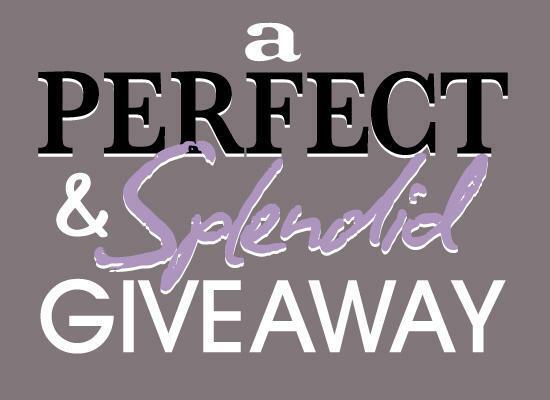 A perfect and splendid giveaway! The practical me would choose the black tall boots - goes with everything. I liked Splendid Willow on Facebook. Thanks for this fabulous giveaway! I am a follower and would love to win! 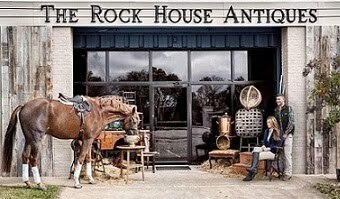 I saw the amazing site and loved the camel colored tall boot. Oh those are SO FUN! I LOVE the tall gray ones and would wear them every day during the winter! I liked Splendid Willow on facebook! The turquoise ones are gorgeous... though I have a sneaking suspicion that black might win my heart in the end! love the tall camel boots! what a wonderful way to look so stylish is yucky weather! Fabulous giveaway...loving those classic camel tall boots!! 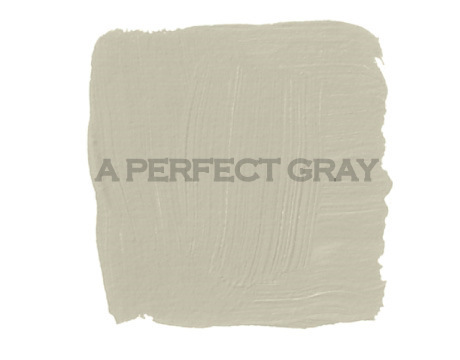 I blogged about a Perfect Gray! 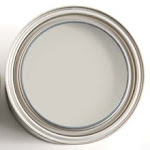 I blogged about A Perfect Gray! THank you for hosting this giveaway! Great boots; great website! As usual, I would pick black boots. Love them all. I love the black boots! I added your post to my blog post! I would pick the camel ones! Liked Perfect and Splendid too! I am a follower of your blog too! i love these boots, and i'm so happy to have been introduced to your blog as well! also, followed splendid willow on facebook! I think I would like the mid length chocolate brown boots. I liked Splendid Willow on FB. #2 Posted it on my blog. I just became a fan of Splendid Willow on FB and I had my blog, Fresh Quince become a fan as well :). love the short brown boots! fanned on facebook as well! I'm a follower and I love the turquoise boots! Love both of you already - and the gray boots! Can't win if one doesn't join in. Love both blogs! I like the black boots in size 7.5. Thanks. following you. And I am torn between the black boots and the turquoise boots. Love the site, love the turquoise tall boots! Black, gray, or cream, please! How fun. Love both blogs. I am a follower..I love the Black Tall Boots. I love those boots and all the beautiful colors. I think I would choose the camel in mid length. I love the camel color in mid length. i'm a new follower - your blog is full of awesomeness. i'm a huge Monika fan. the grey is my favorite hue for these fabulous boots! giving your giveaway lots of love by adding a button on my blog's sidebar to get you much deserved attention! hope you'll follow me soon! I think it would be the black tall boots for me! Thank you for the chance. just "liked" Splendid Willow's facebook page, too! Following, went to Splendid Willow Avenue and love the Camel color. Those are so gorgeous! I like them better than Hunter! Love these boots. I'd probably take the black (goes with everything) or the Gray! So awesome - I would love the black - or dark red! Wow! I've always loved the Hunter Wellies, but I think these look so much nicer! the laces seem to dress them up a little. LOVE. Excellent giveaway! I'm a follower of A Perfect Gray! I would absolutely, no question choose turquoise! I like Splendid Willow on FB! LOVE LOVE LOVE the turquoise tall boot! I would love to splash around in the melted snow in these! awesome! love the pink boots! Tall boots,gray of course and thank you very much! Since I spend a good 6 months of the year in snow, sleet, slush or rain....these would be a welcome addition to my wardrobe!!! Love all the colors, but I would probably do the tall black ones! Thanks Donna and Monika for such a great give away!!! Love them all .... but I guess I'd pick the tall brown boots. wowee. I met Monika the other night and she told me about these wonderful boots, can't believe there is a great giveaway for such treasures. I would pick turquoise FOR SURE! LOVE! these boots - in tourquoise, the tall ones, so cool! i heart monika and spledid willow shop+blog. new follower of your lovely blog! So thrilled I found your blog through Monika. I'm now a follower. Such a generous giveaway and I'd be thrilled to wear the black ones. Ooooh, I have been dreaming of these since I first saw Splendid Willow post about them! I don't think I can choose a color but I sure hope I get the chance too! Mar. 14th is my birthday, what a wonderful present this would be! I'm not sure it counts as a separate entry but I am "follow" you! And I "liked" SW's facebook page! LOVE your blog, first of all! I would love a pair of tall camel Ilse Jacobsen`s! I actually found your blog because I was searching for places that sell the boots and am pretty happy I have a chance to win a pair, and even if I don`t I know where I can buy them and have a new fabulous blog to follow! Thank-you! I LOVE these boots!!! I want them in Gray!! I love Monika and I like them all. I just shared the giveaway on my facebook page. I also liked on fb, thanks! i am swooning over the camel tall boots! I love all the colors but Black would go with everything I have! Great looking boots too. love the black boots they can go with everything I wear. These boots look amazing! Followed this giveaway over from Splendid Willow, but I'm now following you on Friend Connect. I blogged about the giveaway too at things never done, my personal inspiration blog. Hmmm, if I had to choose...this is tough! Out of the ones on Splendid Willow Avenue, I'd have to choose the black tall. No, black short...nooo, is there army green?! I'll be able to choose if I'm randomly selected, promise. GRAY, GREY, GRIS!!! Say it three times....Super Stylish & Perfect boot for Chicago! 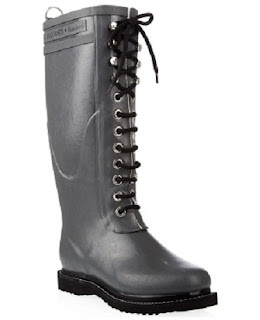 I can already imagine a perfect Spring, splashing around in a beautiful Tall Gray Boot!! GRAY, GREY GRIS..Say it three times. Super Stylish & perfect for Chicago weather. I can already imagine splashing around in Springtime in the Tall Gray Boots. Thanks! 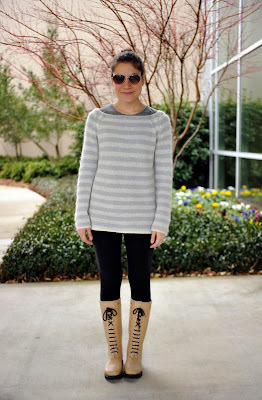 Love the blog- love the boots! Need them during this cruelest month of March. If all of this rain means anything, we should have some rocking blossoms come April! I love this giveaway and I am a follower. Well first off LOVE your blog and Monika's! Both are so enlightening and I can always count on being inspired. Super excited about this giveaway, so thanks for the opportunity! Love all the boots, but I would choose the Gray, Tall (US 8). Keeping my fingers crossed! Off to Facebook as well. Thanks!! And I "LIKE" Splendid Willow on Facebook! 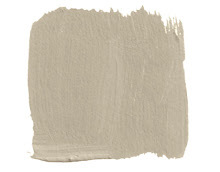 I have been a follower of "A Perfect Gray" for a long time. Love your blog. Beautiful posts. I would love the tall boots in camel or black. The turquoise might even be a fun pop of color to my wardrobe. I featured the giveaway on my blog today, so stop by! Have a good one! Fun giveaway! I love the gray or the camel! I blogged about your giveaway today! Mentioned the giveaway on my blog! What an awesome giveaway! I cannot decide btw the black and cream tall boots. Both so classic and pretty! I like the tall black boots. 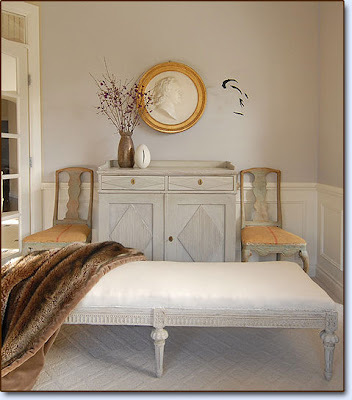 i "liked" splendid willows facebook page! I would be so proud to be the winner of a pair of Black Ilse Jaconbsen boots. Thanks! I am now a follower of Perfect Gray and have been addicted to Monika's Splendid Willow for months!! I will go "Like" on facbook now. I love the tall grey or camel ones! such a great giveaway girls! Donna and Monika...this is an amazingly generous giveaway...thank you! I'm surprisingly drawn to the yellow boots at the moment...probably because it's a horridly wet day outside and just looking at them cheered me up...the gray one's would be more practical though! the turquoise please! too cute. Would LOVE to have the black or brown tall boots! I love them ALL! Gray or camel would go with everything! Thanks! I love all the colors! I can't decide! But tall ones all the way. liked you on FB too. Thanks again. I would love the 'Camel Tall Boot' in size 7. I "like” Splendid Willow's Facebook page. My username is Cindy A.
I'm an old follower. Love monika's inventory, preferable the dark beige. I am a follower! I love the black tall boots! I love the turquoise tall! I also tweeted about your contest and liked Splendid Willow's Facebook page! love love love those tall turquoise boots. Hi! Keep up the good work! I already "liked" splendid willow's facebook page -- tall camel please! i LOVE these! So glad i came across your site & discovered the giveaway- the boots are adorable.. i like the mid boot in beige! yummy! i forgot to put my size- sorry! size 7.5 in the beige mid! Totally love them! Beige mid-height, but the turquoise are fun, too...hmmmm! Oooh, so exciting. I love the camel, or the grey, or the black! Those would be my go to colours. But the turquoise or pink look pretty hot too. What a dilema.